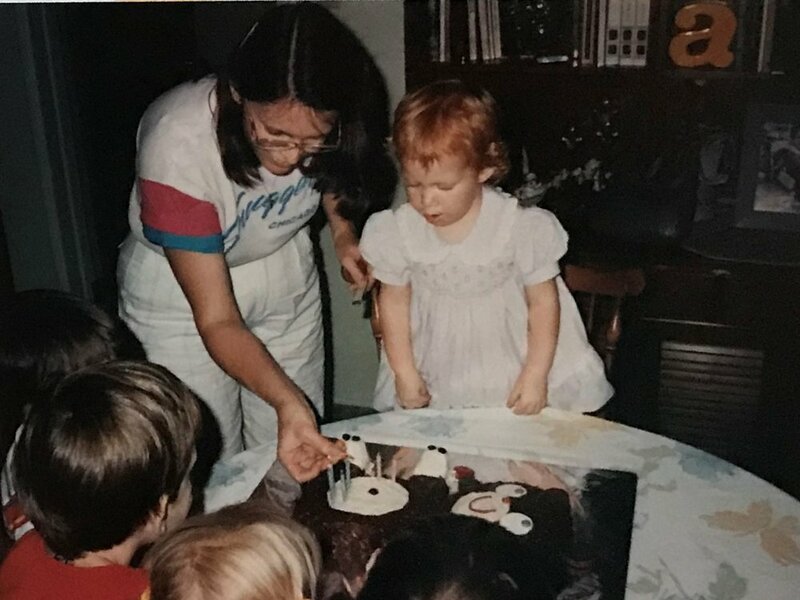 A friend (who really knows the the way to this girl’s heart) gifted me with Luisa Weiss’s Classic German Baking for my birthday back in July. 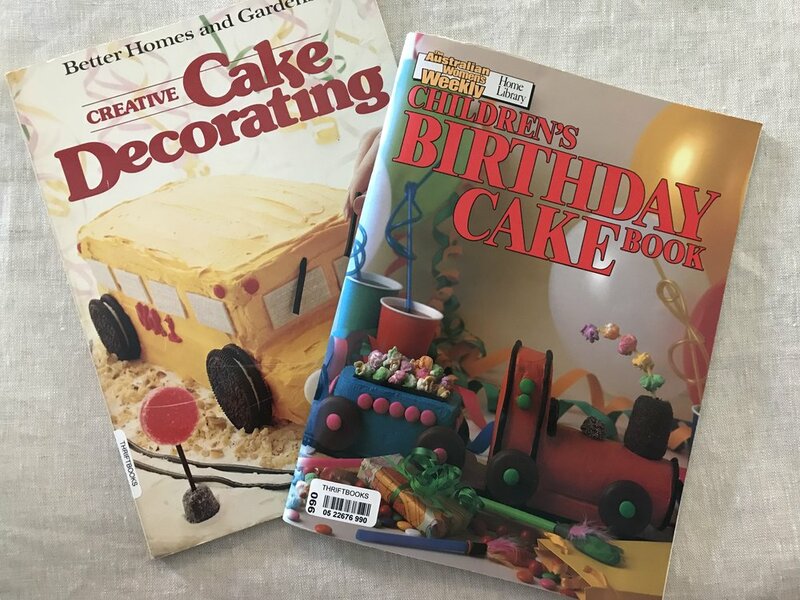 The summer was so full (and hot) that I rarely turned on the oven, but now that Fall is in full swing (and I’ve been watching The Great British Bake Off on Netflix), I was itching to get back to baking and trying some new recipes! 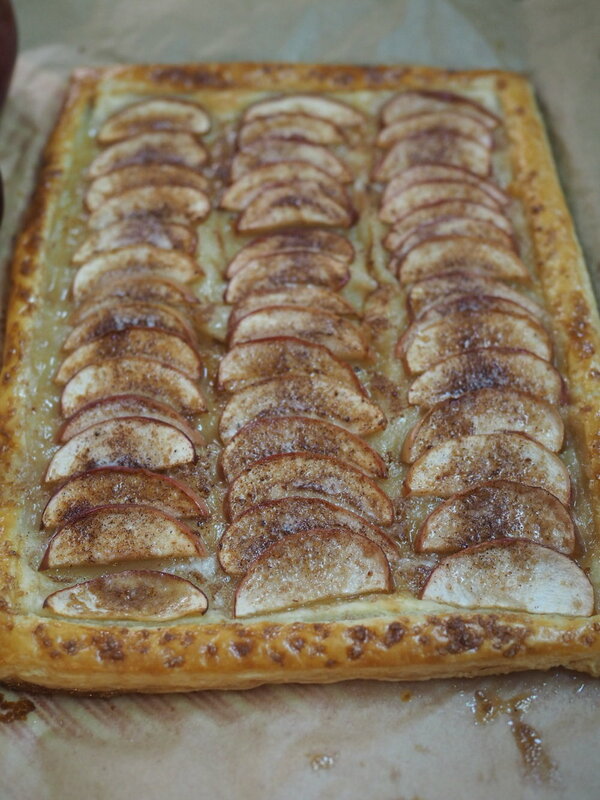 Having done our traditional apple picking trip a few weeks back, I’m up to my eyeballs in apples, even after having made two pies, but Classic German Baking was ready for me with three different Apfelkuchen recipes. 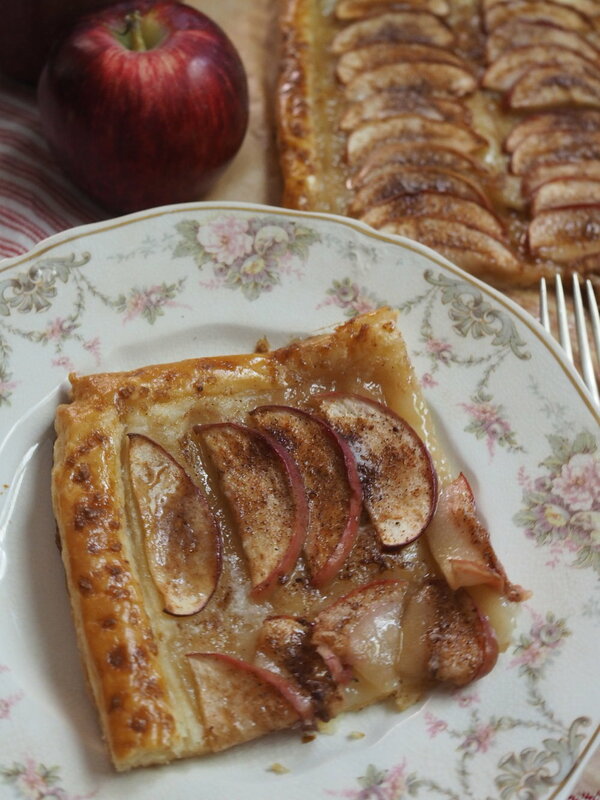 I fully intend to try all three in the coming weeks, but based on what was in my pantry/fridge, I went with the Versunkener Apfelkuchen first, which also happens to be the simplest of the three. And since the recipe declared it “great for people baking with small children” I asked Little Miss Cleaver to help out. (The smiley face was all LMC’s idea and execution). The high egg and butter content makes the cake-crumb similar to that of a pound cake and the batter is lightly flavored with lemon-zest, making it a bright alternative to the cinnamon and nutmeg-heavy desserts typical of fall and making it suitable as a spring and summer dessert too. The raw sugar sprinkled on the top before baking gives the top a pleasing crunch. I didn’t have any cream on hand to make whipped cream, but it would be nice finish to this simple, but pleasing dessert. Easy enough to whip together on a weekday and fun to make with kids, this classic German cake combines apples and lemon zest under a raw sugar crust for a bright and delicious dessert. Preheat the oven to 350 degrees Fahrenheit. Grease a 9” round cake pan (or springform pan) with an oil-based spread (like Crisco or baking spray) and line the bottom of the pan with parchment. Peel the apples, then core and slice into 8ths (I use a corer/slicer to make quick work of this). Zest the lemon into a bowl with the butter and sugar. Cut the lemon in half and juice one half. Strain any seeds and set the juice aside. Using a sturdy wooden spoon or mixer, cream the butter and sugar together until light and fluffy. Add vanilla extract and one egg, mixing until fully combined. Add remaining eggs one at a time, fully combining each egg before adding the next. In a separate bowl, sift together flour, baking powder, and salt. Add the lemon juice and flour mixture to the wet ingredients, mixing until just combined. Using a rubber spatula, scrape the batter into the prepared pan and smooth the top. Arrange the apple slices with the core side down in a circle around the edge of the pan, pressing down slightly, so each slice is secured in place. Take the remaining apples and place in the center. Sprinkle the top of the cake generously with demerara sugar. Place pan in the center of the oven and bake for approximately 40 minutes, until the cake is golden brown and a tester comes out clean. Let the cake cool for 5 minutes before carefully removing pan. The cake should be firm enough that it should be easy to move without disturbing the apples. Enjoy at room temperature with some lightly sweetened whipped cream. In the past few years, I've had the good fortune to becoming friends with a handful of lovely German women (yay for the Internet! ), and, as a result, have become increasingly interested German culture, politics and cuisine. I'm sure my family could do less with me talking about proportional representation in the Bundestag, but they put up with it if I make them Schnitzel, Spätzle, or the all-around favorite, Pretzels (or Brezeln). Like most yeasted bread products, these need to be kneaded and have time to rise, but if you have the time (and aren't near a German bakery where you can just get them easy-peasy) they're totally worth it. Also, the boiling + bake method that gives pretzels their unique texture it quick and fun to do! 1/2 stick (1/4 cup) cold butter, diced into small pieces. In a large mixing bowl, combine warm water, yeast and sugar. Let still until mixture becomes foamy. Using a dough whisk or sturdy wooden spoon, add the flour, salt and butter, stirring until the mixture becomes shaggy. It's okay if not all the butter is worked in yet, the kneading will take care of that. Roll up your sleeves and turn out your dough onto a floured work surface. Vigorously knead your dough until it becomes smooth and elastic. Return the dough to a clean bowl and cover with a damp towel, letting it rise until doubled in size. (You can do this overnight in the fridge, or on a warm spot on your counter). Preheat your oven to 450 degrees Fahrenheit. Combine all cooking water ingredients in a large pot and set to boil. Roll out the dough into a long rectangle and cut it into 6 long strips, about an 1" wide each. Roll/stretch each strip until it forms a coil about 34" long (I measure them by the length between my fingertips and shoulder joint). Form each coil into a "U", twist the tops, and the press the ends down onto the bottom of the U.
Sprinkle the pretzels with your salt of choice. Bake the pretzels for about 15 minutes, rotating the baking sheet halfway through. Let them get nice and golden brown (see note in post). Remove from oven and transfer to wire rack to cool. Serve warm with mustard and enjoy with the rest of that beer! A confession. I've never liked sugar cookies. 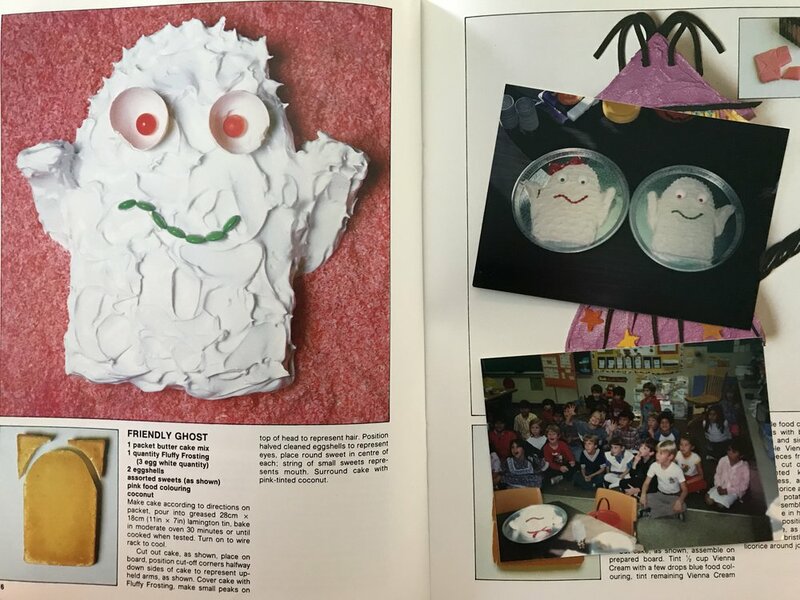 I don't know what recipe my mom used, I seem to recall it had lemon extract in it, but while I found the decorating fun, I never actually wanted to eat the cookies we made around holiday time. It was all too sweet, too artificial tasting. 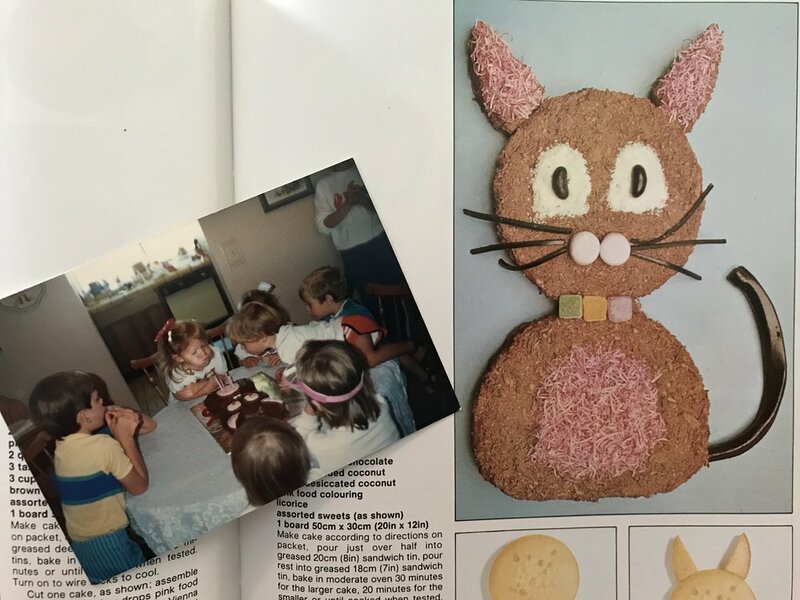 Now, as a mom myself, I wanted to share the fun of Christmas Cookie decorating with Little Miss Cleaver, but I wanted a cookie base that actually tasted good. This is third year these cookies have been in holiday rotation and in my book, this recipe is a winner. It's almost halfway between a sugar cookie and shortbread in taste, no weird lemon falvor and I'm happy to eat them plain if the kid poops out on decorating (not likely this year). The biggest hassle of them is that it makes a TON of cookies - 4-5 dozen depending on your cutter (we fill five 13"x 18" half-sheets), so I've included a half batch recipe below as well. As for frosting, I whisk up a batch of the world's easiest frosting, which once you've made it once, you'll never have to look at the recipe again. To print, select button at bottom of post. Using a stand mixer or wooden spoon, cream together cold butter and sugar until it reaches an even consistency (Tip: if using a spoon, use the spoon end to pound the butter into the sugar until it starts to look like coarse sand before attempting to stir). Add eggs one by one, until mixed in completely. Stir in vanilla. Add flour and cornstarch and mix until dough starts to form a ball. (Tip: If working by hand, it may help to kind of knead the dough together with your hands). Working with about 1/4 to 1/2 of the dough at a time, roll out the dough to an even thickness of 1/4 inch. 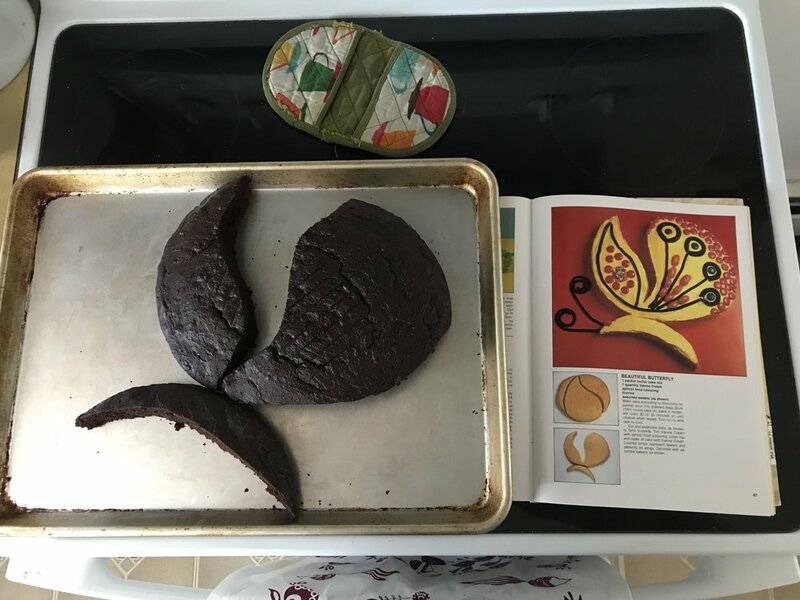 Cut out shapes and place on a parchment-lined cookie sheet, placing shapes with narrow parts in the center of the sheet . Bake for approximately 11 minutes or until edges turn slightly brown. 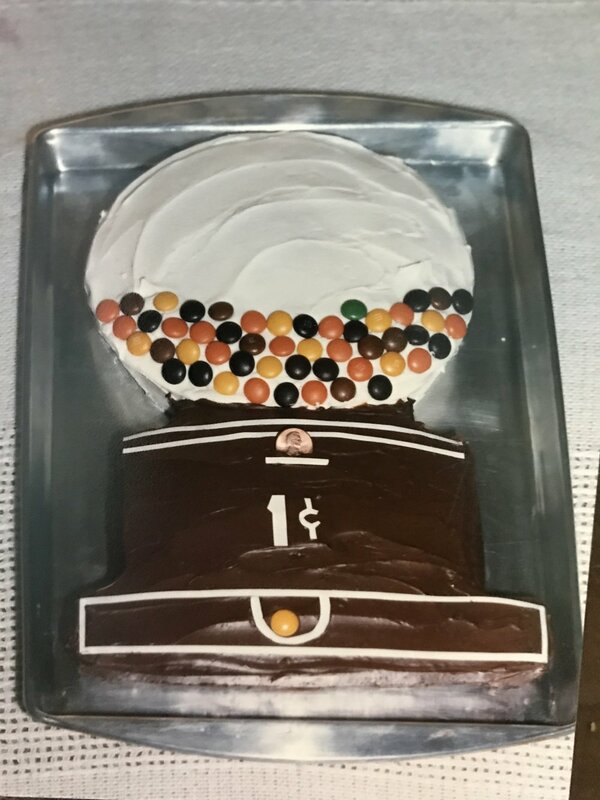 Cool on a wire rack completely before frosting. In a large bowl, add water to sugar a little bit at a time and whisk together until frosting reaches desired consistency. For ease of frosting, you'll want it to start to pull off the whisk in a slow thick line, rather than sticking completely or dripping off. If desired, section out some of the frosting into a separate bowls and add food coloring drop by drop until desired color is achieved. Using a spatula, transfer frosting to a pastry bag fitted with a decorating tip. Twist pastry bag shut or tie with a twisty-tie to seal and decorate away! 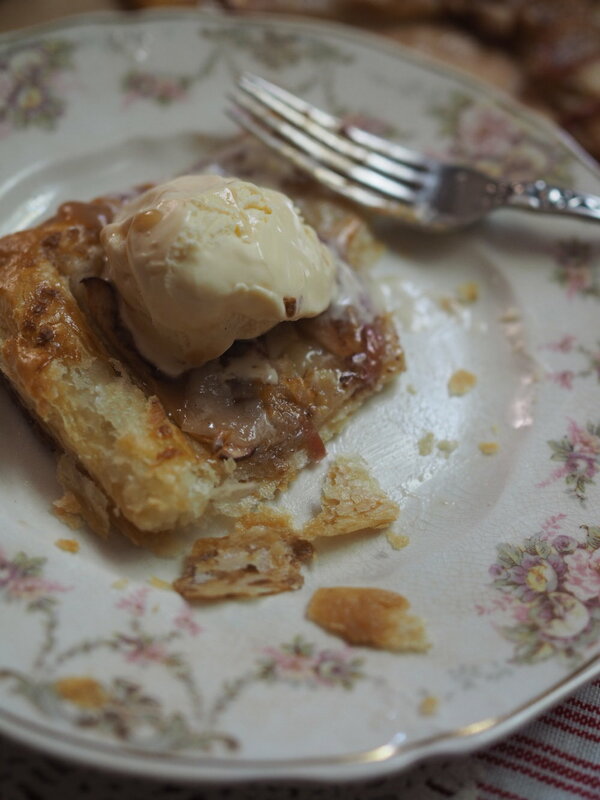 Ever since my trip to Quebec, I have been obsessed with puff pastry. That, and all the seasons of the Great British Bake Off, I've been watching. Well, rough puff pastry. I'd like to give full-on puff pastry a try but a) time and b) the pounding sounds to flatten the butter would drive my dog nuts. So to avoid extended periods of dog barking, I've turned to an easier version that uses grated frozen butter to avoid all the pounding. But full, rough, or store bought, puff pastry (or pâte feuilletée if you're feeling French) makes an excellent bae for this deceptively elegant, yet simple traditional crisp tart (or tarte fine). I'd suggest making the puff pastry the day before, then assembling the tart takes only 15 minutes or so. I daresay, it's easier than pie. Freeze butter and grate. This is easiest if you have a food processor or a rotary grater, but can be done by hand. Place grated butter and measured flour in freezer for at least an hour. When butter and flour are sufficiently cold, mix together flour, salt, and 60g of the butter together with your fingers. Add water until dough just holds together, but is not sticky or wet. The dough will be firm. Turn out onto a lightly floured surface and knead until dough feels like it's holding together well, about 1 minute. Rest dough in fridge for about 5 minutes while you prepare for next step. If you work quickly, you can do the following in one go. If the dough and particularly the butter, starts to get too warm and easy to work stop and chill in the freezer for a few minutes before continuing. On a lightly floured surface, roll dough into a long rectangle. Sprinkle half the remaining butter on 2/3rd of the dough. Fold the rectangle in thirds, starting with the un-buttered third. Turn the dough 90 degrees ( so the open ends are facing the side) and repeat step 1. Turn the dough 90 degrees and repeat folds (without the butter) as in step 1. Repeat turn/roll/fold 2 more times. Cut dough in half, wrap each half secruly in plastic wrap and store in fridge overnight. If you're making tart in less than an hour, or are planning to not use the dough for more than a day, store in the freezer and thaw in the fridge prior to use. 1/2 of rough puff pastry recipe (above), or 1 sheet frozen pre-made pastry, thawed. 2 Tablespoons salted butter, diced into cubes. Preheat oven to 425 degrees Fahrenheit. Line a large baking sheet with parchment paper. On a lightly floured surface, roll out dough into a large rectangle, about 9 x 12 inches, cut edges to be neat, if needed. Transfer to baking tray. Using a sharp knife, score a 1 inch border around the dough. Beat egg in a bowl, adding a splash of water to make an egg wash. Brush egg wash along the outside border of the tart only. Mix jelly of your choice with a splash of water. Brush jelly mixture on center of tart. Arrange apples in three rows on center of tart, overlapping slightly. Mix together sugar, cinnamon and nutmeg in a small bowl. Sprinkle sugar and spice mixture over entire tart. Bake for 30 minutes in the center of oven, until pastry is nicely browned. Cut into 6 slices. Serve warm with vanilla ice cream and caramel sauce. To say I have a love affair with putting citrus in my baked goods, would be putting it mildly. I generally feel that there are few things that aren't improved by bit a fresh zest, and this poundcake definitely falls into the better zesty category. With some added flavor from honey and aromatics from the inclusion of lavender buds, this is the perfect spring dessert. Not too sweet, with an excellent crumb, and easy to transport to your next picnic. Make lavender lemon syrup by combining sugar, lemon juice, and honey in a small pan over medium heat and stirring until sugars are dissolved. Pour syrup over lavender buds in a heat proof container and cover. Set aside. Preheat oven to 350 Degrees Fahrenheit. Grease and flour a 6-cup loaf pan or line with parchment paper (preferred). In a medium bowl, combine eggs, milk and vanilla. In a separate bowl, shift together cake flour, sugar, baking powder and salt. Add lemon zest to flour mixture and combine. Add half of the egg mixture and all of the butter to the flour mixture. Beat with a wooden spoon until ingredients are moist and well combined. Butter should be mixed well, throughout with no visible chunks. Gradually add the egg mixture in two parts, combining each fully before adding the next. Batter will be very thick. Scrape batter into prepared pan and spread evenly in container, smoothing the top. Bake until a tester inserted in the center comes out clean and top is a golden brown, about 55 minutes. After baking, remove cake from oven. Keeping the cake in the pan, place on a rack and poke all over with a wooden skewer or long toothpick. Strain lavender buds from syrup and brush strained syrup generously over the top of the cake. Let cake sit in pan for 10 minutes, then remove and place on rack. Brush sides generously with syrup. reserving about 1/8 cup of syrup. Add confectioner's sugar Tablespoon by Tablespoon to reserved syrup until it forms a thick, opaque glaze. When cake has cooled, place on serving platter and pour glaze on top. Decorate with lemon slices and lavender as desired. To store, wrap tightly in plastic wrap and keep at room temperature. 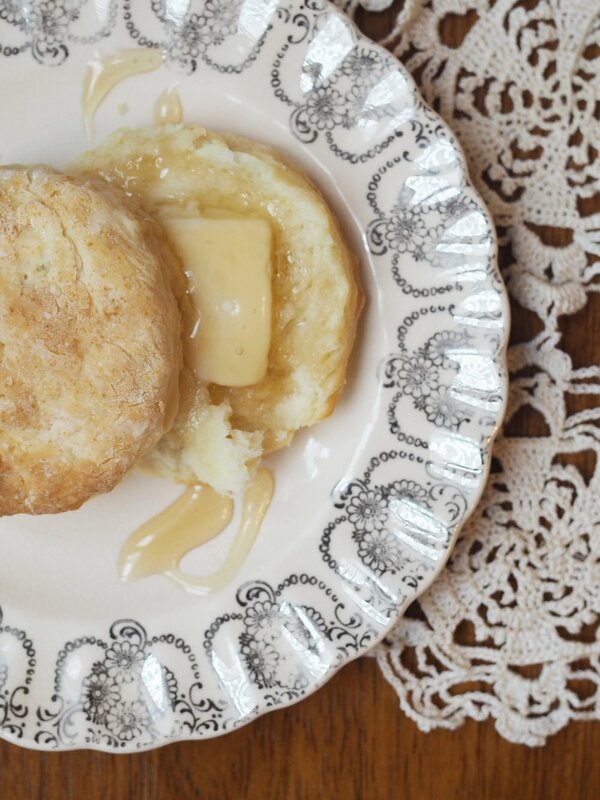 A good biscuit should be flakey, buttery, and easy to get on the table. These biscuits use a fun folding technique to build-up those important layers and is, in my opinion, easier than rolling them out. If you're quick (i.e. you don't have a four-year-old helping with every step) you can get these in the oven quicker than you can pre-heat it. Mix together flour, baking soda, and baking powder. With a pastry cutter, cut butter into flour mixture, until it resembles slightly damp sand. Add milk and mix about 15 times, until mixture is combined, but dough is still loose. Turn out dough onto a floured surface and pat into a 8 inch by 8 inch square about a 1/2 inch thick. Fold dough in half once, and then in half again, then pat back out to square. Repeat folding and patting another three times. With a floured biscuit cutter, cut out biscuits, making sure not to twist as you push the cutter down or pull it up. Reshape remaining dough and cut out remaining biscuits. Place biscuits on a cookie sheet lined with parchment paper and bake for 15 minutes or until golden brown on top. Serve warm with gravy, butter, jam, or, my personal favorite, honey.